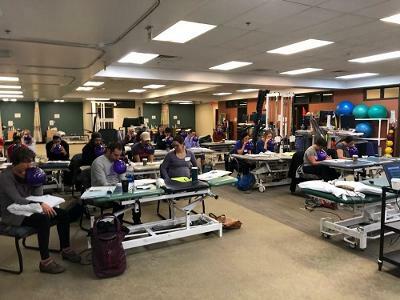 I had the privilege of teaching at Advance Physical Therapy in Chapel Hill this past weekend. I had a wonderful time teaching this group of clinicians over the St. Patrick’s Day weekend with March Madness in full swing. 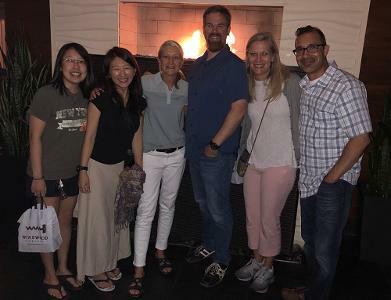 The big takeaways this past weekend from the class perspective were the following: 1. the power of respiration and synchronization of both the pelvic and respiratory diaphragms. 2. The A-B-A model of evidence base practice implemented in the clinic with PRI concepts. The “A” objective PRI tests then the “B” of PRI non-manual techniques and then the change to the “A” after the technique was implemented. 3. Truly understanding what the PRI objective tests are and how they can assist the clinician to picking PRI non-manual techniques that best assist the patient. This class was inquisitive, passionate, and open-minded. It was a great joy to mentor you in your PRI journey. To the staff of Susan, Joe, Jean, Lisa, Beth, Molly, and Nancy thank you, thank you, and thank you. Your organization of the room set-up, snacks, assisting us to get manuals copied when a boxed didn’t show up and most importantly for your passion of PRI, I am grateful and humbled. Thank you Stan, Christie and Impact staff for hosting Pelvis Restoration this past weekend. We had a fabulous weekend introducing some recent updates to the Pelvis course. The Hruska Abduction lift test was added to the course. It's a great test for assessing frontal plane integration of the pelvis. The practitioners found it to be a great tool for clinical application when assessing their patients to assist with reciprocal and alternating function. It was an amazing group with critical thinkers. Thank you for a weekend of your time. Also, a shout out to Kenny who lab assisted for me. Great weekend. Great people. Thank you Joey from Engineered Per4mance for hosting Pelvis Restoration in Iowa. We had 10 clinicians attending their FIRST PRI course. We had 5 P.T. 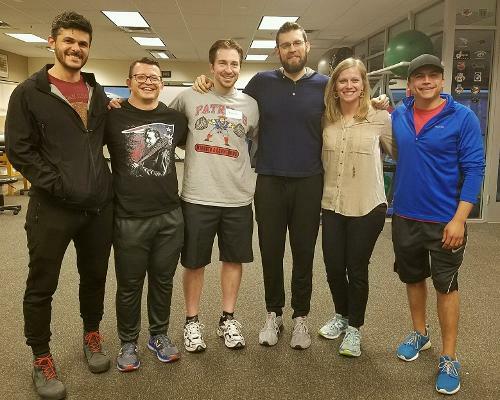 students and 1 dental student in addition to physical therapists, strength and conditioning coaches, and a chiropractor. What an amazing group of individuals learning this past weekend. 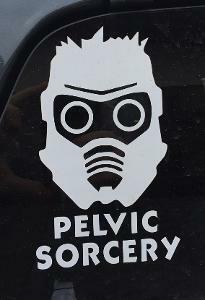 Trisha had an appropriate car decal on her truck “Pelvic Sorcery.” Of course we weren’t performing “black magic” on the pelvis, but we were applying the science and concepts of PRI to the complexities of the pelvic inlet and outlet. We need a pelvic diaphragm that can achieve a “zone of opposition” just like the respiratory diaphragm in left stance for correct forward propulsion in gait. If not, our patients will utilize the pelvic diaphragm as a postural stabilizer just like the respiratory diaphragm. Chew on that and realize the importance of opposition of the pelvic diaphragm by pelvic outlet abduction via the left obturator internus and illiococcygeus and the pelvic inlet adduction via the left iliacus. This pelvis frontal plane control allows our necks and ankles to wobble and trunks to rotate. It was a wonderful weekend in Gilbert, AZ teaching Pelvis Restoration. Thanks you Connor Ryan, PT, DPT, CSCS, PRC and Foothills Sports Medicine Physical Therapy for hosting this PRI course. We had 35 attendees and we got into the nuances and details of the AFIR/AFER position as it related to the pelvis and it's relationship to gait. We had great discussion and demonstration of rectus abdominus inhibition (thanks Steven) and compensatory and non-compensatory hip position with the Pelvis (thanks Pat). It was an amazing and insightful group of clinicians. Lori was in Dallas, TX for Pelvis Restoration. 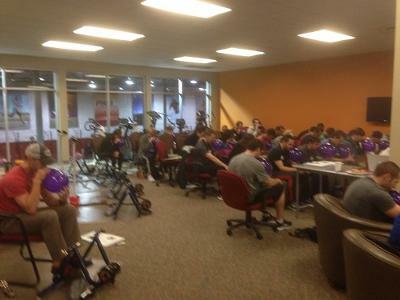 Thank you Brittani and EXOS for hosting Pelvis Restoration this past weekend in Frisco, TX. 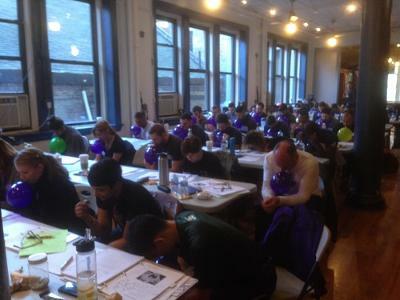 Almost, half the class attendees were new to PRI! They were excited about Postural Restoration and at least 8 of them told me they were going to another course this year and were getting other health care practitioners to come with them. It is rewarding as a Faculty to have a class this excited about learning and not being complacent. For those of you that have attended other PRI courses, Pelvis Restoration is about going into detail about tri-planer control of (L) AFIR and (R) AFER. 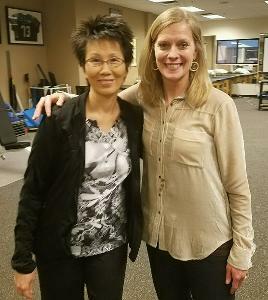 Inhibition of the correct inlet or outlet quadrant will allow for FAIR or FAER control, trunk rotation, ability to integrate floor grounding to allow the neck to “wobble.” A huge shout out to Sayuri for you wonderful lab assistance this past weekend.